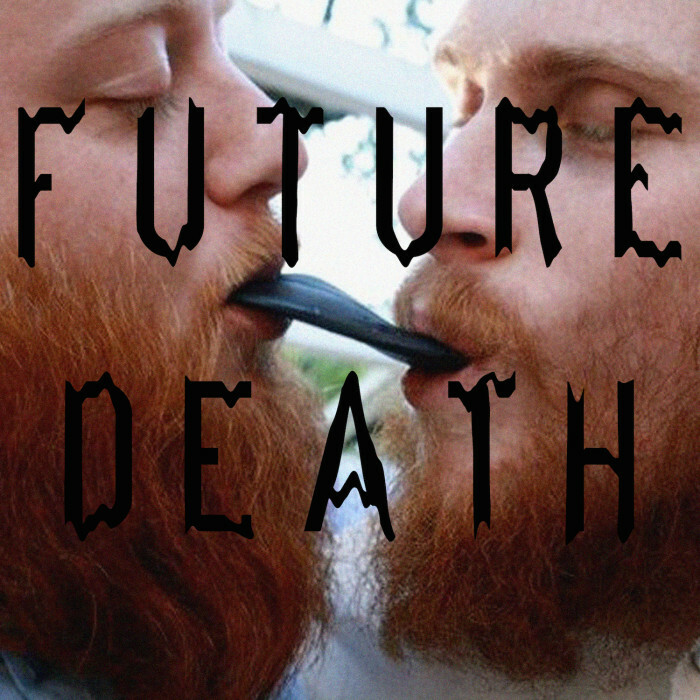 A remarkable amalgamation of punk, thrash, metal and beautifully placed vocal harmonies weave through Future Death’s new single, “Familiar Tremors” off their newly-announced Cryptids EP. The track displays a familiarity and kinship for such an array of genres, changing time signatures and rhythmic patterns with calculated precision and carefree ease. The track begins with a frenzy of guitar highs and a blistering, amorphous rhythm; wholly punk and knowing itself. However, quick alterations in tempo and some mind-bending all-appendage drum fills reveal that the track can’t make up its mind, entering blast beats for only a few seconds before slowing the previous pace down even further and continuing on in such a fashion through to its close. It’s as though the melody is skipping through the hallways of an endless apartment complex, with all doors open, it enters and exits rooms, leaving each time with a new constitution. The only constant comes via the harmonized, sometimes falsetto vocals, penetrating in nature and deep in tone. The repetition of, “I feel so psycho” gives light to the confused composition of the track, but it’s all sung so prettily that nothing but sympathetic and longing feelings are permitted through. Cryptids is out June 23 on Bloodmoss Records. You can stream “Familiar Terrors” below.